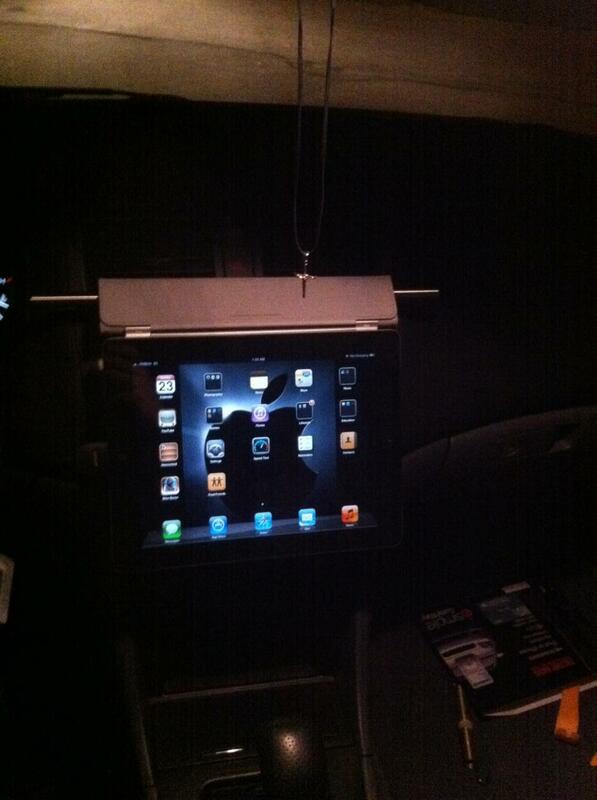 This is my iPad install. I installed the iSimple and Kiwi Wifi PLX with the DashCommand App. I use the 30 pin connector for audio. 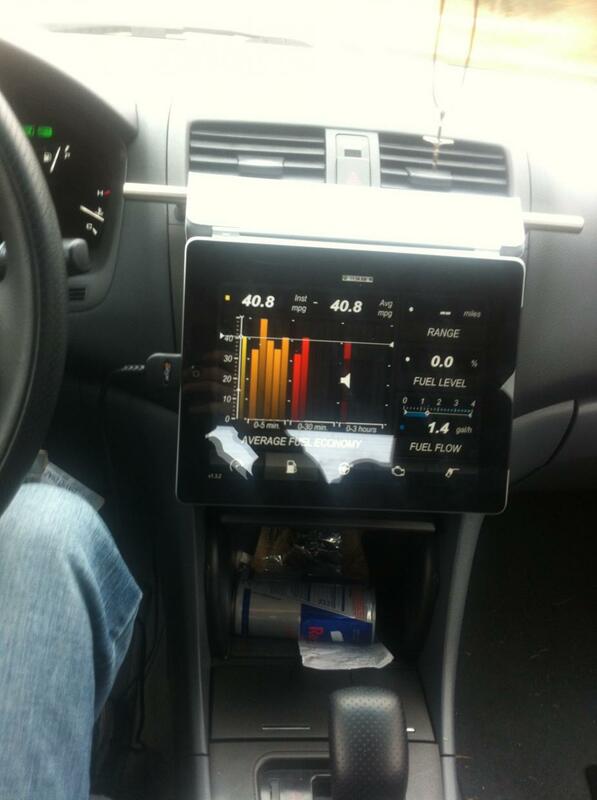 It is very nice for GPS, monitoring engine diagnostics, MPG and many other things. It seems to be very accurate. How does the ipad receive the Pandora Signal? Is it tethered to your phone? I will watch the video you linked later today. I do think this is the way Head Units are going to be in the near future. My head unit (Pioneer Avic-Z2) costs me over $1,200 and has a smaller screen than an Ipad and is stuck in the dash vs being able to be used anywhere as well as of course the ipad has many other uses. The pandor signal is used by the iPad app, Pandora via 3G. You say you spent 1,200 on a head unit. I spent 600 and went this route for the exact reasons you stated. I can used it in my car then when I get out just take it with me! Also, I agree with you about the feature of head units. I think also the climate control and everything else will be just a one unit touch screen. Actually when I attended the auto show in Detroit earlier this month, this is how they are starting to do it in some vehicle! Chrysler. Amazing! Thanks for sharing, can you share the 30 pin connector you used? Thanks! damn. you need better friends. don't forget to share the adapters you used! good info! this looks like the OBD II interface. very cool!! !